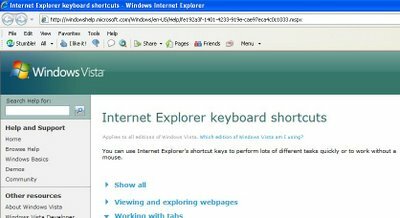 While I still haven't gotten tabbed browsing to work in IE7, those who have might find some of these keyboard shortcuts useful. 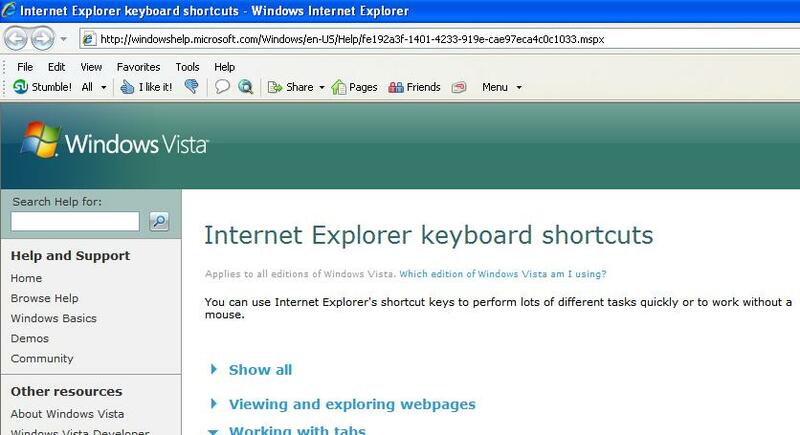 Like in Firefox, Ctrl+click opens up a tab in the background while Ctrl+Shift+click opens it in the foreground. Ctrl+Tab switches to the next tab. Quick Tabs is probably one of the more interesting IE7 features; it brings up a thumbnail gallery of webpages that you switch through like with Alt+Tab switching. Press Ctrl+Q to bring it up. There are also new commands for RSS, zoom, and search. Google Doubles Profit: Why Not Yahoo?